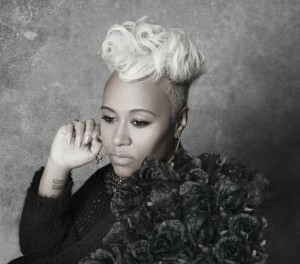 We must admit, we were just a little bit thrilled to see Scottish soul songstress Emeli Sandé front and centre at the Opening Ceremony of the London 2012 Olympic Games. The singer is still criminally underrated in this country, with her album ‘Our Version Of Events’ popping in and out of the ARIA top 100 in recent weeks and her singles ‘Heaven’, ‘Next To Me’ and ‘My Kind Of Love’ remaining largely ignored by the Aussie public. Organisers even saw fit to weave a riff from the singer’s debut single ‘Heaven’ into the ceremony. But it was her performance of ‘Abide With Me’ that stole the show. Here, she performs the track in the studio – completely live, with just one microphone, with just one take. If you missed her Live At The BBC last year performing ‘Heaven’ live, check that out HERE. Stop trying to make ‘fetch’ happen! …Mean Girls. Lol, jokes aside she’s really good! But not catching on over here at all.